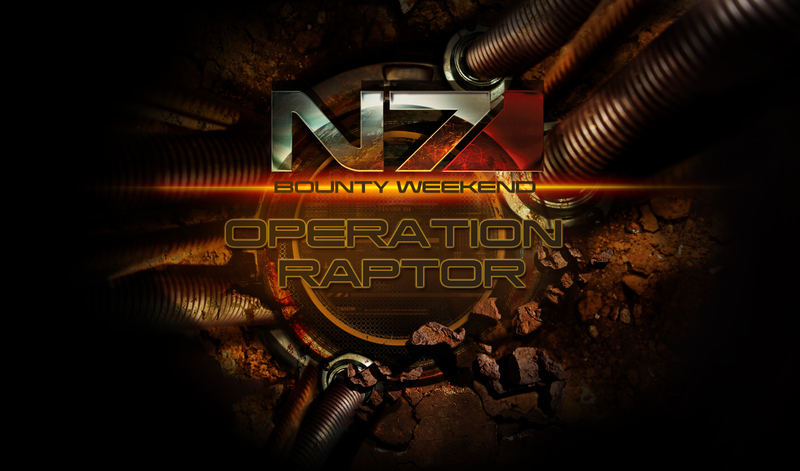 Reports from the front indicate efforts for N7 Challenge: Operation RAPTOR was a success. Read the full report after the jump! I am pleased at the number of promotions achieved during Operation RAPTOR. The influx of veterans and leaders is already proving invaluable in our fight against the Reapers. While our comrades spread across the galaxy to carry on the fight, you must reconstitute your forces and bring new fighters to the fore. The N7 cadre has never been an easy calling, but your guts and determination have made you the most feared fighting force the Alliance has ever known. Prepare yourself; there will be more challenges in our future. Good fortune favors the prepared mind… and arsenal. We had a record number of soldiers promoted last weekend: over 350,000, shattering our previous community goal of 150,000. Victory Packs and Commendation Packs will arrive no later than Wednesday April, 4th. Make sure to redeem them and begin training your new recruits. Operation Beachhead is scheduled to deploy next weekend, April 6th- 8th and will require expert trained soldiers to complete. Stay tuned for more information on Operation Beachhead later this week.